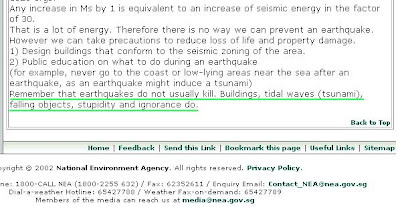 Here is part of an article on Earthquakes from the National Environmental Agency. I was going to say, "Stupid, like living in an earthquake zone," but that would be ignorant. Thanks to Rach at symin.blogspot.com/.